I am going to feature more fine art Photoshop/PSE tutorials on my blog so you can use my freebies to create your own original artwork! 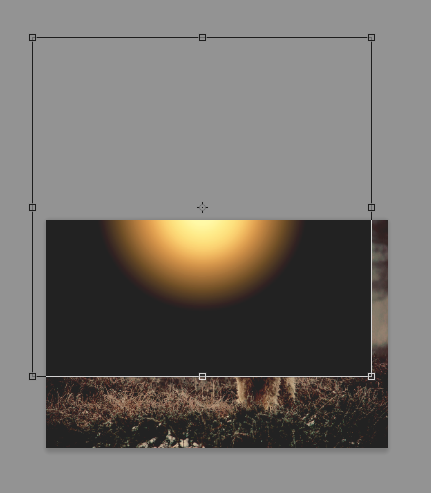 Today I want to show you how to edit with one of my Sunset Dreams actions (Photoshop/PSE) and then add a setting sun overlay and a beautiful painting texture to create your own custom art! This is a great technique for those special images you want to create for yourself or sell for wall art or print out for cards/calendars/etc. You can grab the original images used in this post on Pixabay (dog, love). Run “Sunset Dreams Deluxe” on your image. If you don’t have this action you can also use the one on my blog noted above! 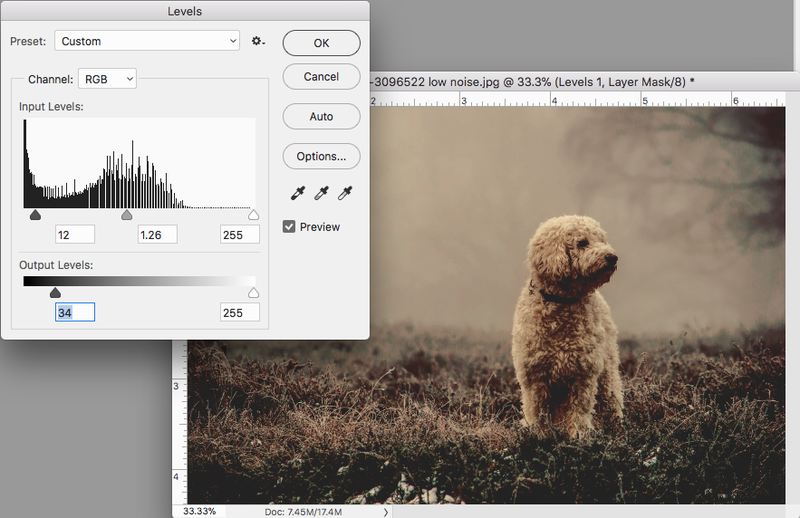 When the Levels adjustment settings pop up, adjust the sliders under the curve and the left Output Levels slider to adjust the contrast. 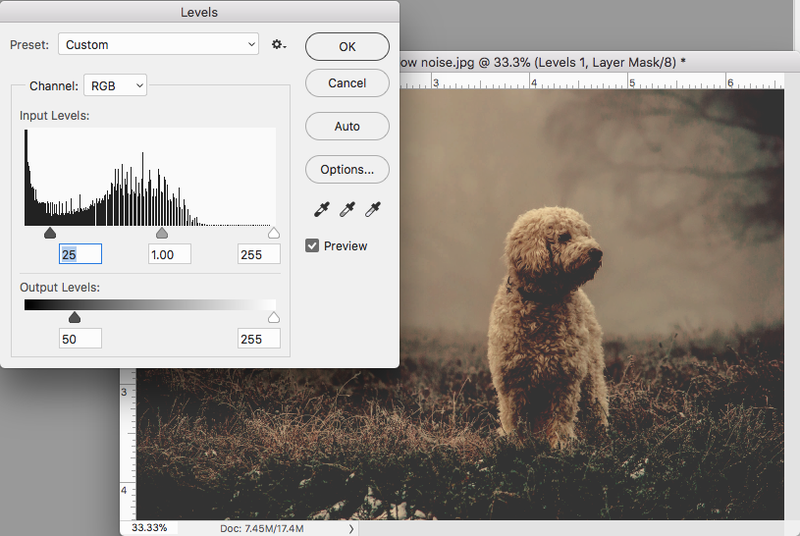 It is preset to be matte, but you can adjust for more dramatic contrast. This can be further adjusted after the action finishes running. I moved the sliders to apply a more dramatic contrast effect. Now the action will create and add a beautiful Sunset overlay. 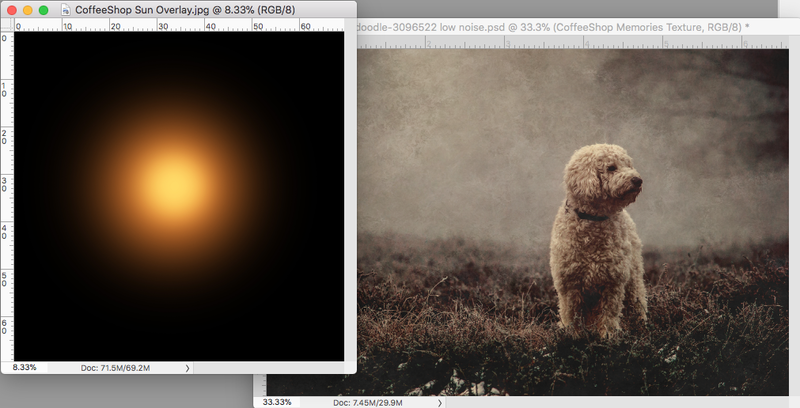 Note: If you are not using the “Sunset Dreams Deluxe” action you will have to manually add a sunburst texture. I walk you through how to do that that several steps below. But most other adjustments are similar. Adjust the size and placement to taste. It can be adjusted additionally once the action finishes running. This is the image after the action finishes. 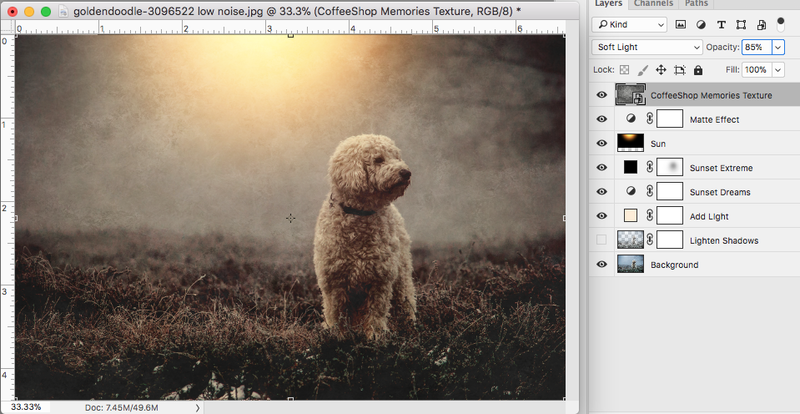 You can make adjustments to all of the layers to create you own custom edit. I will walk you through my edit of this dog image. 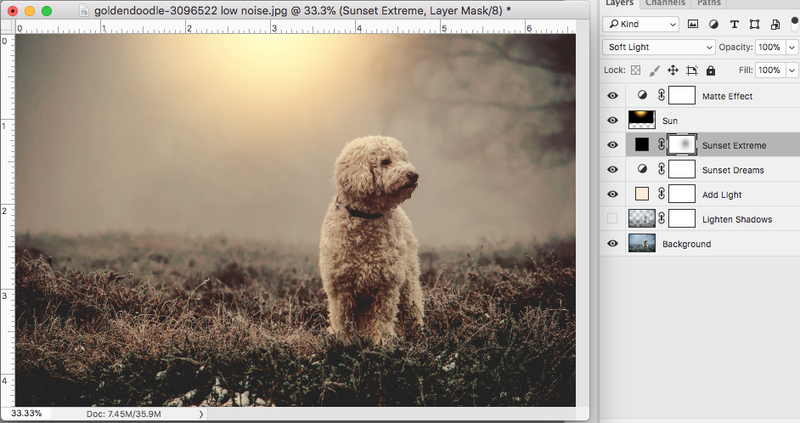 I clicked on the “Sunset Extreme” layer’s mask and grabbed a soft black low-opacity brush and painted some of the effect off of the dog to lighten him somewhat. 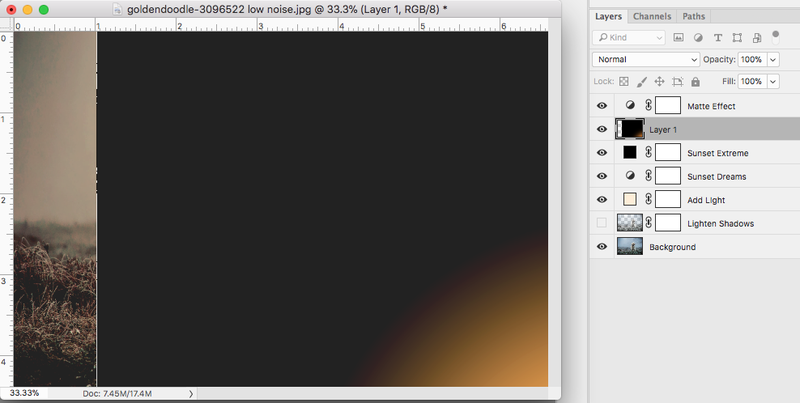 I turned down the opacity of the “Add Light” layer to 30%. I did not turn on “Lighten Shadows” for this edit. 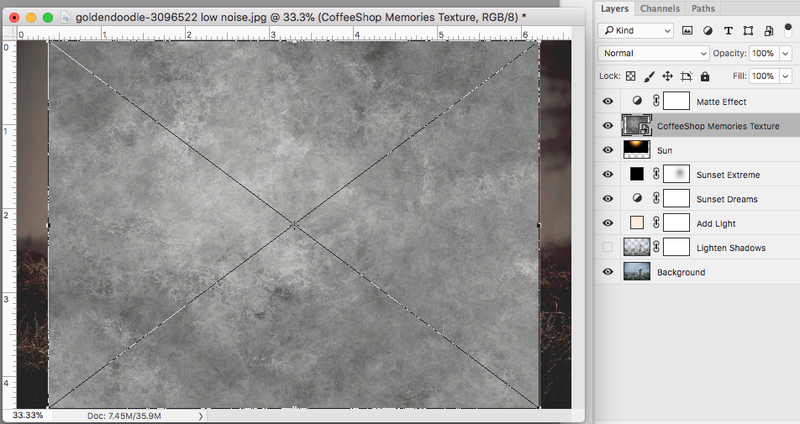 Then I added the CoffeeShop “Memories” texture. 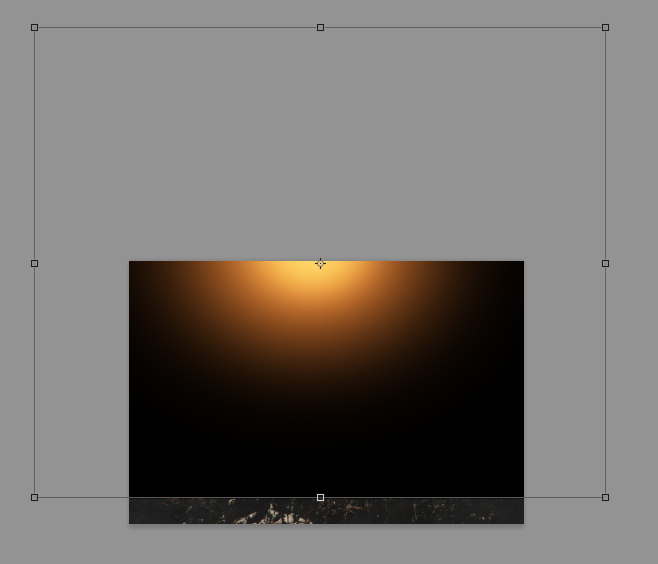 And adjusted it to fit the image and moved it on top of the layers. 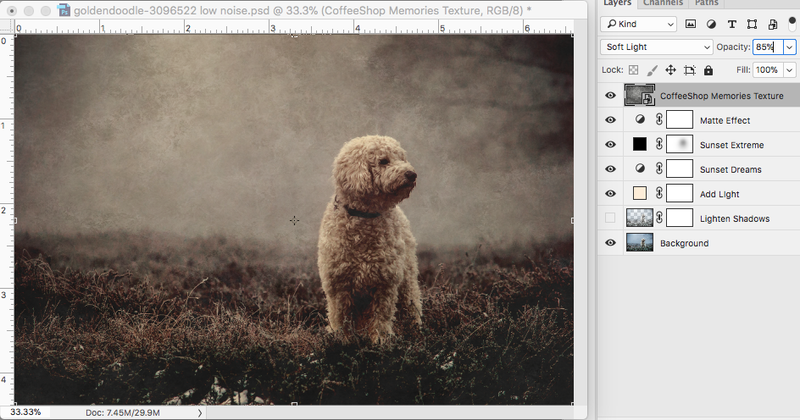 I put the texture in Soft Light blending mode at 85%. 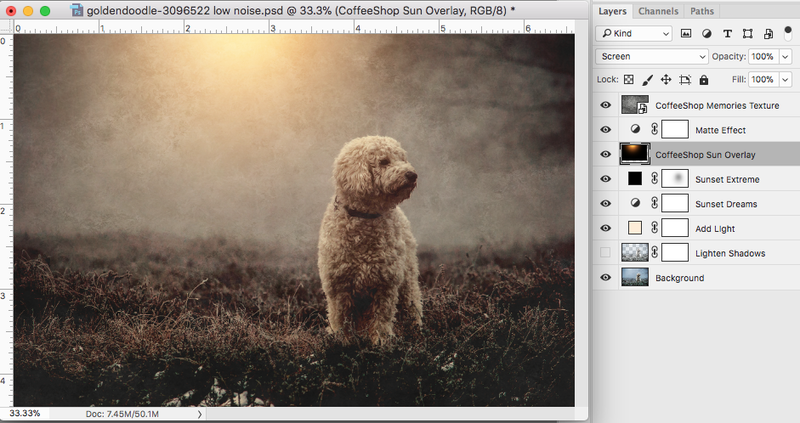 You can also delete or turn off the “Sun” overlay layer if you would prefer this type of edit. If you don’t have the “Sunset Dreams Deluxe” premium action you can also use my “Sunset Dreams” action found here on my blog. Run the action and adjust each layer to taste. Then open one of my Sunray/Sunburst overlays from this pack. 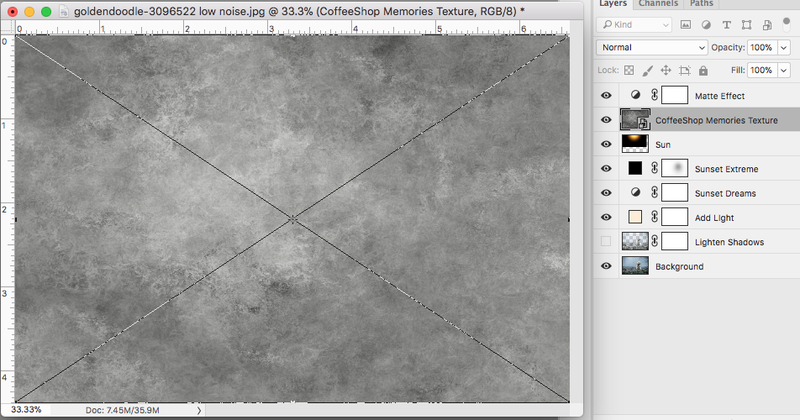 Drag the overlay on top and adjust the size and placement to taste (Ctrl-T for free transform). Then put the overlay in Screen Blending mode. I think the finished result is so beautiful! I want to show you one more edit using this technique. I ran the “Sunset Dreams Deluxe” action and adjusted each layer as seen in the screenshot above. I also removed some of the “Sunset Extreme” layer off of the couple by using a soft low-opacity black brush on its layer mask. I have a nifty trick I use to remove texture off of skin without affecting colors/contrast using Gaussian blur. Click here to read that tutorial. I hope you enjoyed this tutorial! I would love to see your own edits on my Facebook page.